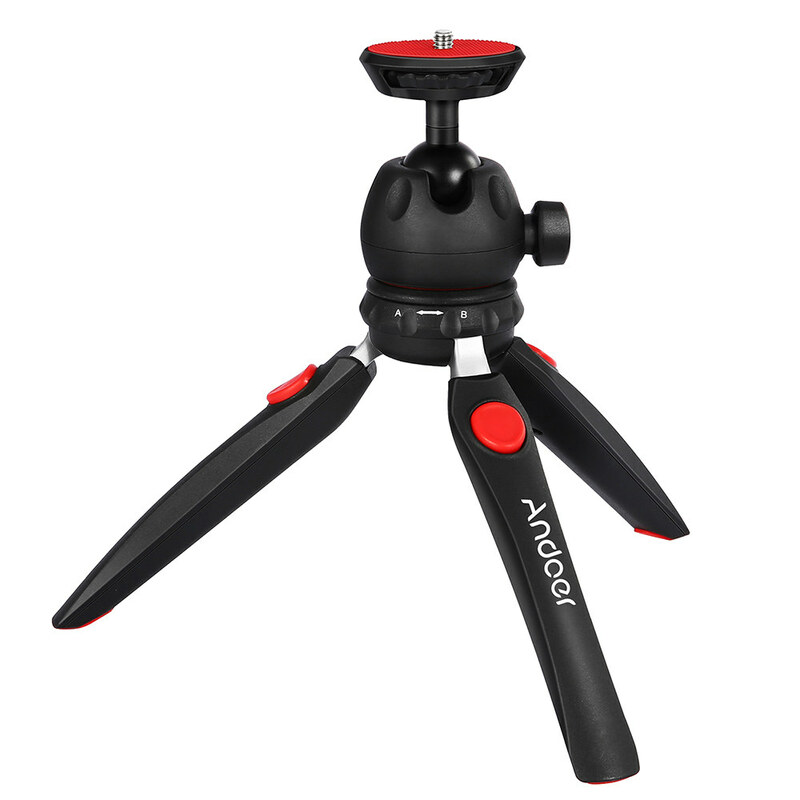 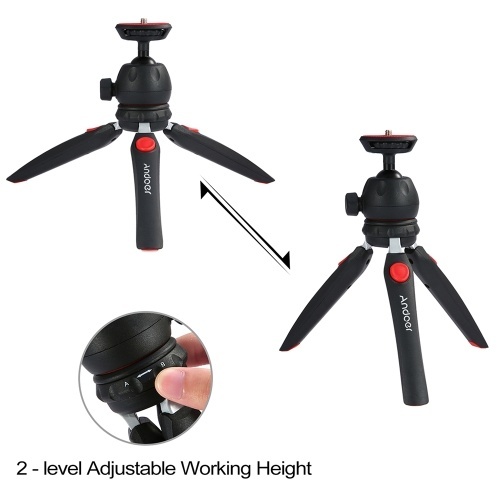 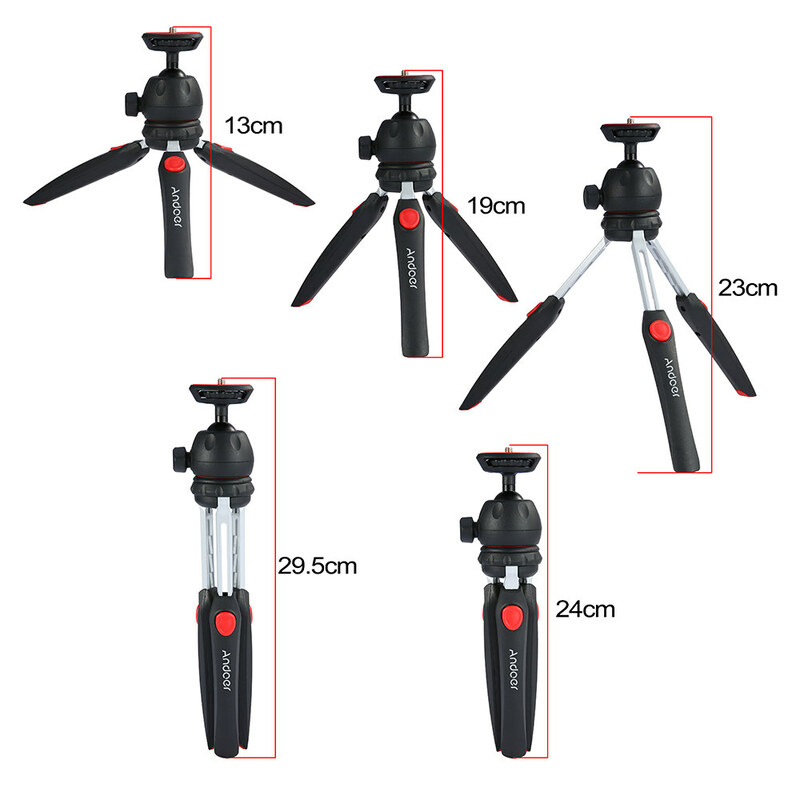 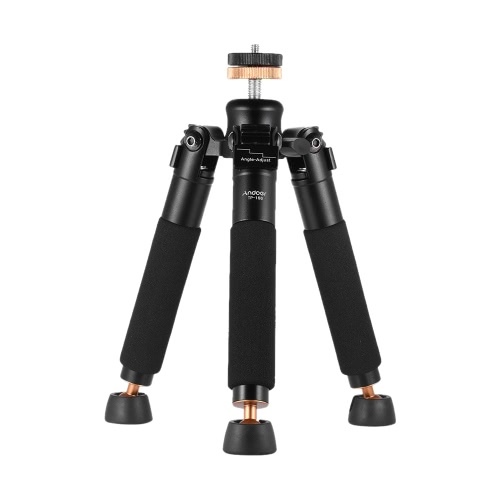 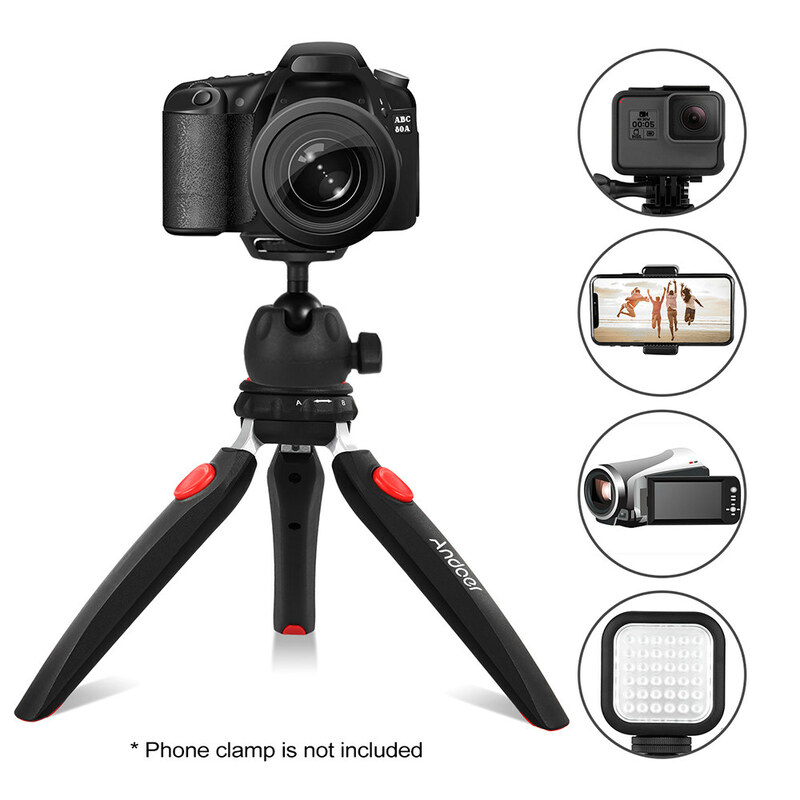 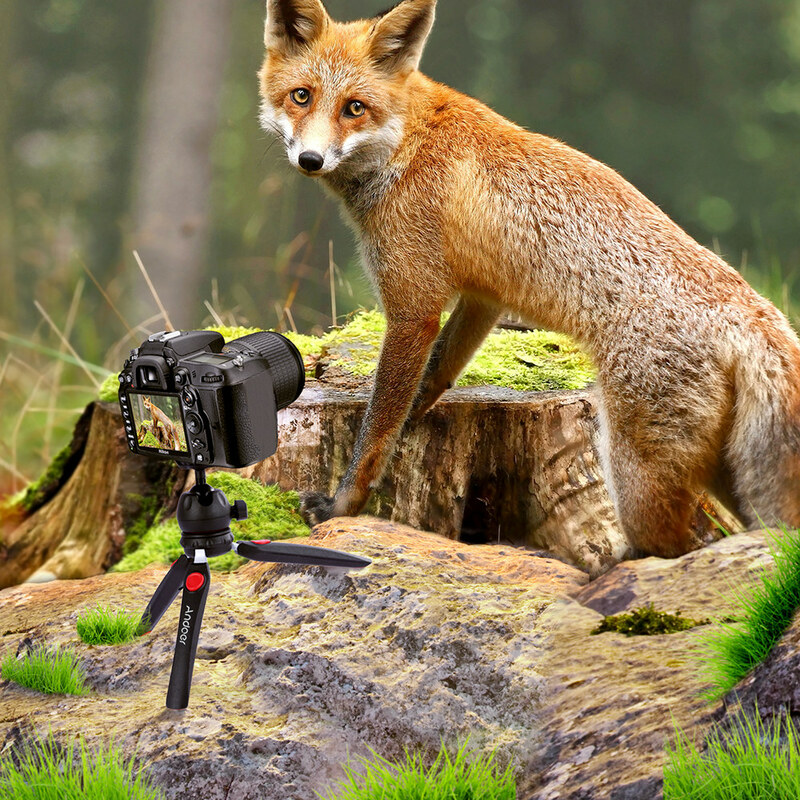 The mini tripod is mainly made of high-quality ABS.The non-slip rubber on the bottom of tripod legs ensures the stability. 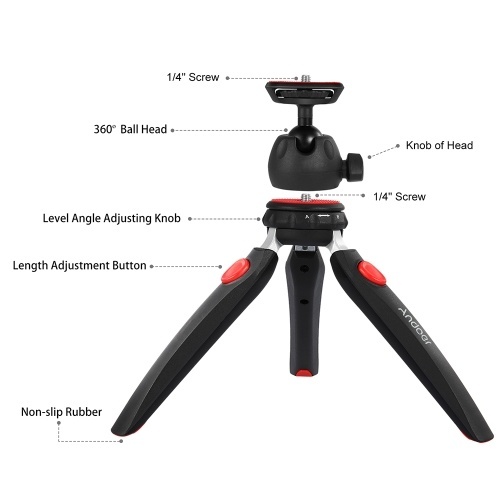 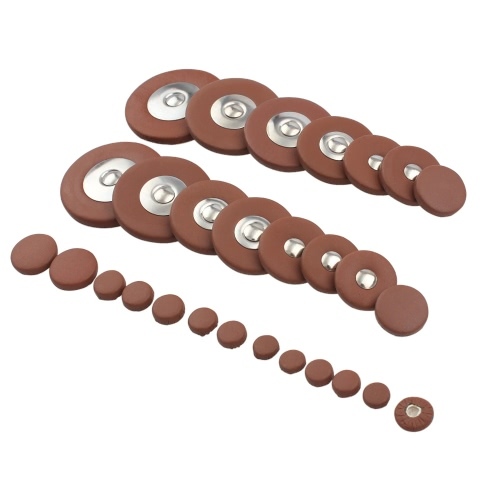 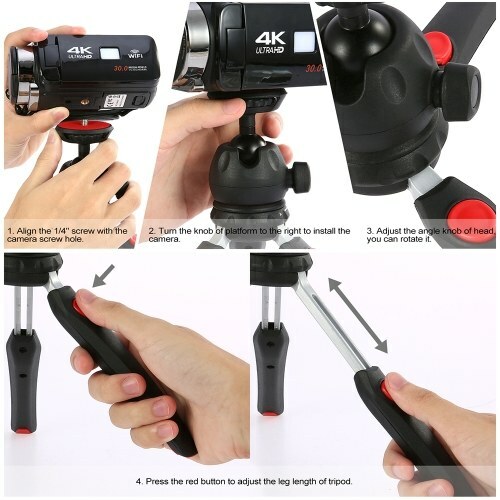 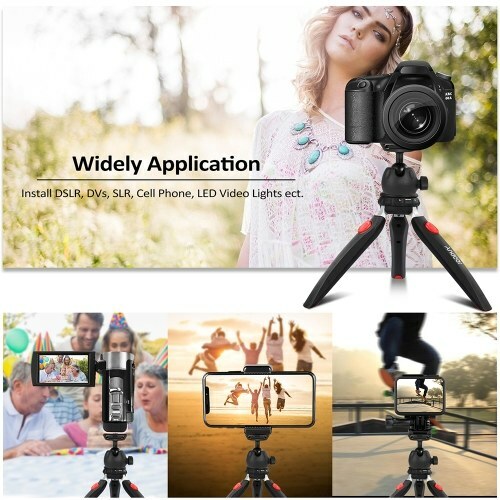 Unique 2in1 design,the ball head can be removed and installed on another tripod with 1/4" screws. 2-level adjustable working height by adjust the level angle adjusting knob to achieve the height you want. With 1/4" mounting screw,suitable for series of DSLR/mirrorless cameras,DV,action cameras,LED video lights, projector,webcam and phone clamp with 1/4" screw hole. 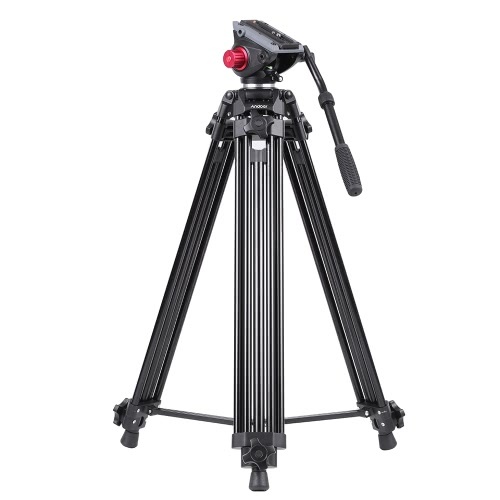 Folded height is only 24cm, weight is 290g,very lightweight,max.load is 2KG.Easy operation. The height of tripod legs can be adjusted by pressing the red botton.Working height from 13cm to 23cm. 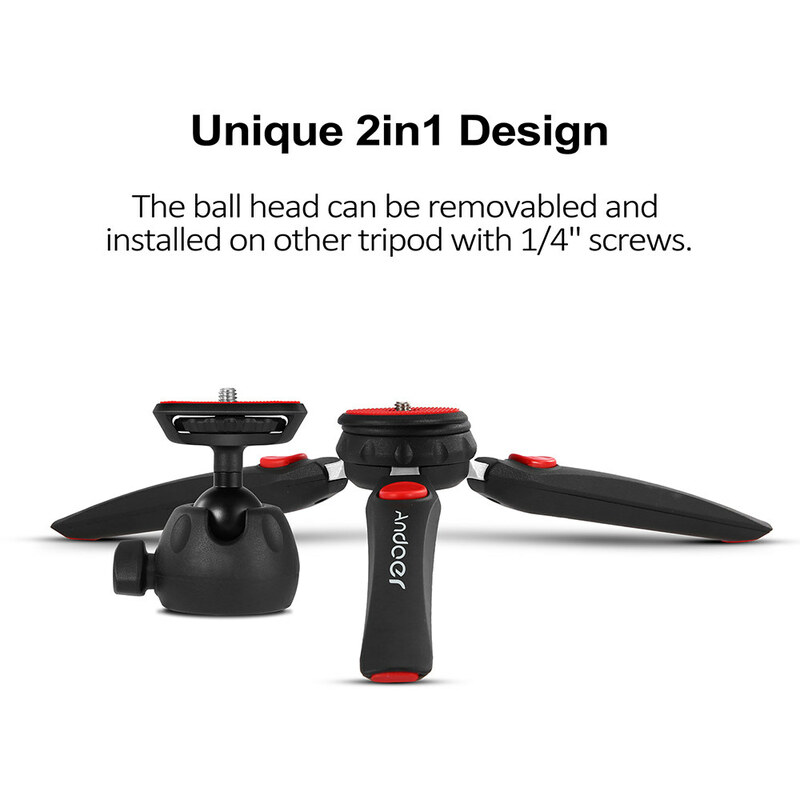 By rotating the 360º ball head,you can freely adjust the shooting angle you need. 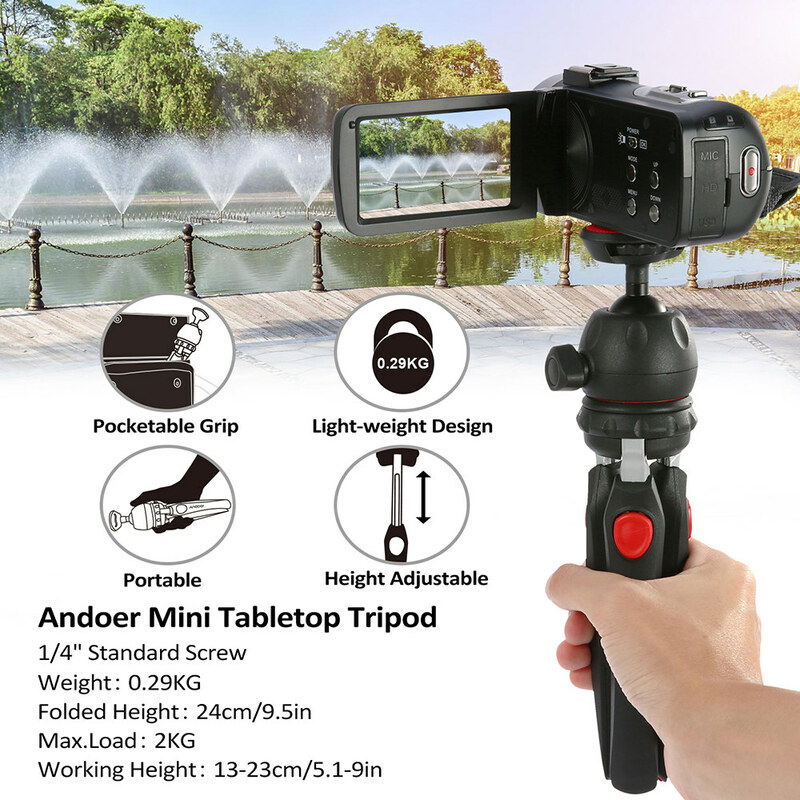 Pocketable design,foldable and portable,easy for storage,you can carry it anywhere.Perfect for travel. 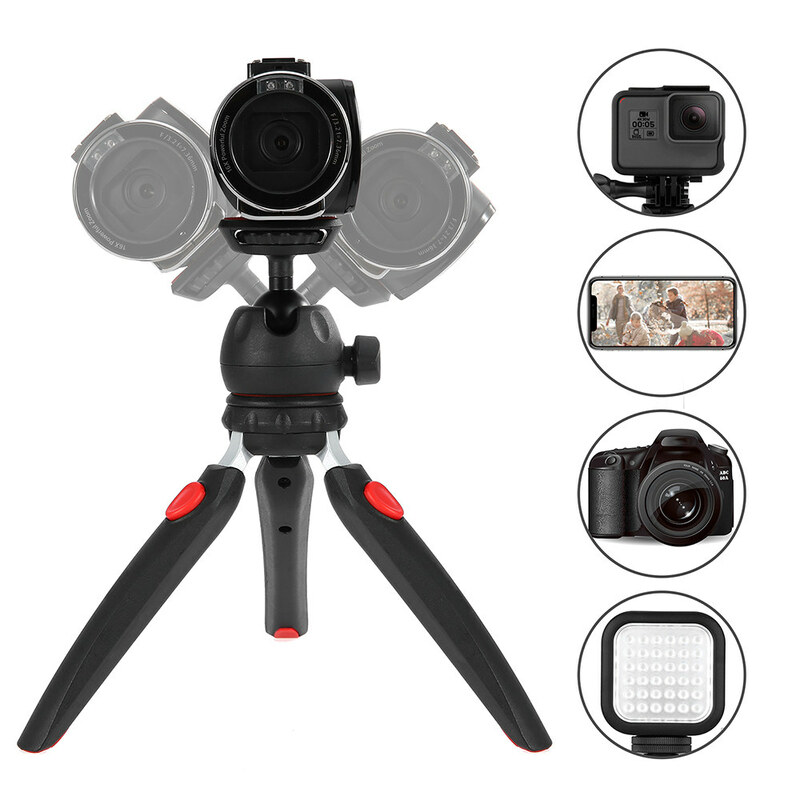 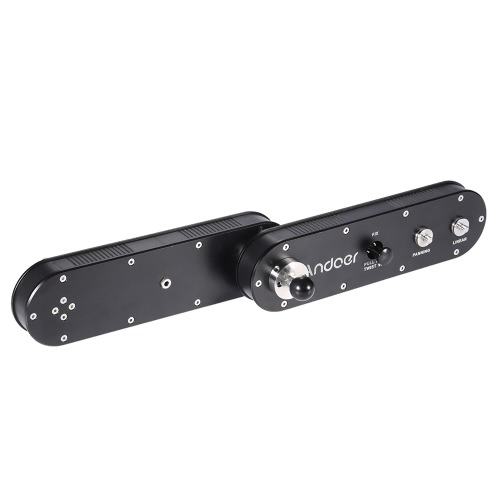 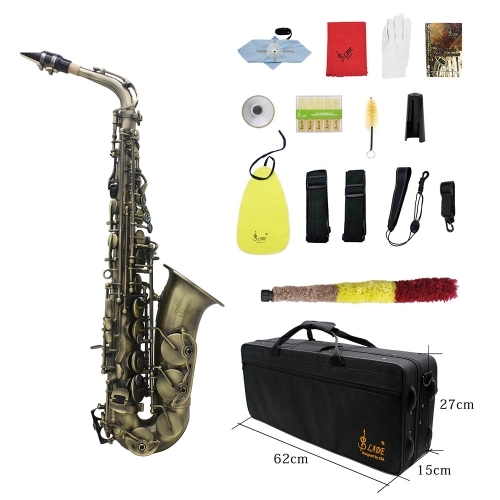 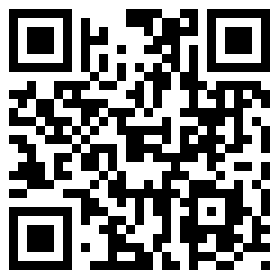 It has a wide application,such as for video recording,still photography,outdoor shooting,live broadcast,etc. 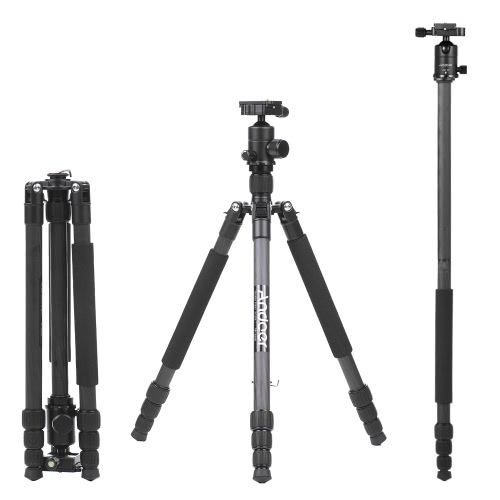 Note: Only the tripod is included.